Murrayfield Golf Club was founded in 1896; one of many private clubs which started in the late nineteenth century in Scotland as interest in golf grew. Many founder members already golfed in East Lothian, but wanted to develop a course conveniently situated near their homes and businesses. The Murrayfield area was not heavily populated and most of the initial members came from the Haymarket district, the New Town and the Western suburbs. 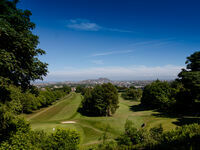 While they played over the new fairways stretching on the lower slopes of Corstorphine Hill, they could catch a glimpse of East Lothian and their other courses. The new club's central location and the ease of access to the course in the days of the trams, carriages and bicycles was one of the reasons for its popularity, and remains so today. It was intended to be a local club and circulars were issued in the neighbourhood to attract members. An advert in "The Scotsman" was hardly necessary because the response to the circulars was excellent and membership was initially limited to 300 gentlemen and 200 ladies. 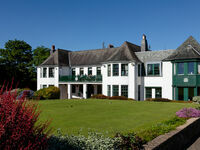 The initial course was twelve holes on leased land opposite the current clubhouse, east of Murrayfield Road. This land now is now Campbell Avenue, Campbell Road, Cumlodden Avenue and Lennel Avenue. Two years later a portion of the Ravelston Estate to the west of Murrayfield Road was leased and the course increased to 18 holes laid out on both sides of the road. 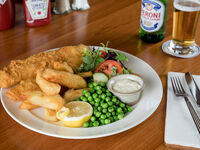 By 1898 the membership had increased to 340 gentlemen and 186 ladies. 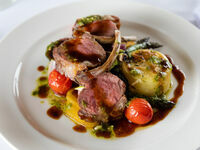 The course was laid out wholly on the Ravelston Estate west of Murrayfield Road in 1904. At 4,930 yards for 18 holes it was more than adequate for the ball and club technology of the day which were the Haskell rubber ball and hickory shafted clubs. Harry Vardon and James Braid played an exhibition match on 30th July 1904, attracting 3000 spectators to the course. Their match enhanced Murrayfield’s reputation not only as picturesque, but also as a challenging test of golf. The match was filmed and a copy was discovered in 1992. Preserved and stabilised, it is one of the oldest golfing films of play known to exist. The film was auctioned at Phillips in Edinburgh before the 1992 Muirfield Open and bought by a consortium of members and is now in the Golf Museum in St Andrews. The original clubhouse was built in 1897 to the east of Murrayfield Road on a site now occupied by a new block of flats. 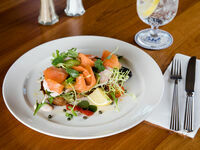 The present clubhouse was opened in 1912, designed in the arts and crafts style and is listed. A major extension and renovation of the original building was completed in 1988. Renovation of the proshop and downstairs lounge was undertaken in 2016 and further developments are currently planned to bring the building up to date while retaining the atmosphere of the building. 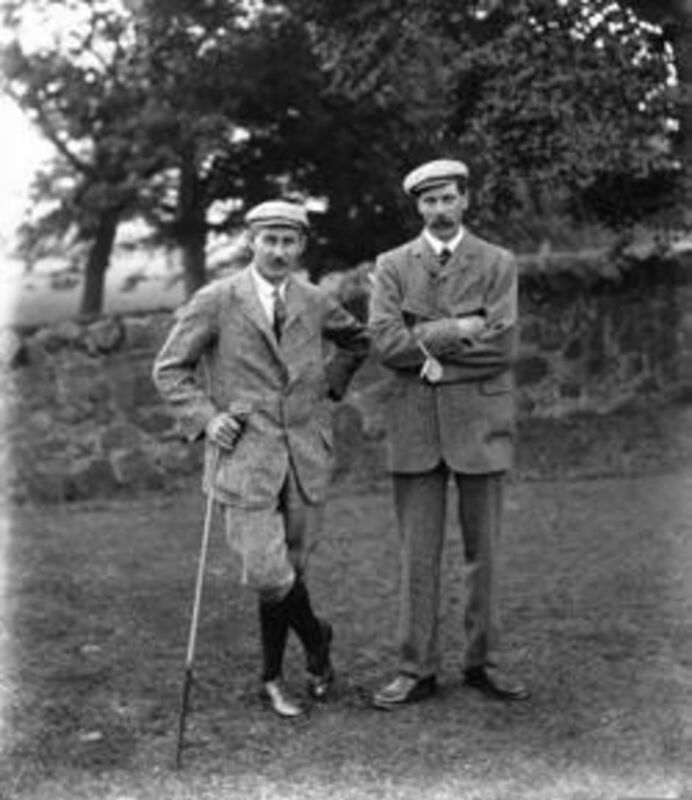 ​ W. G. Bloxsom and A. M. Ross, were extremely well known in golfing circles and achieved notable feats. W.G. 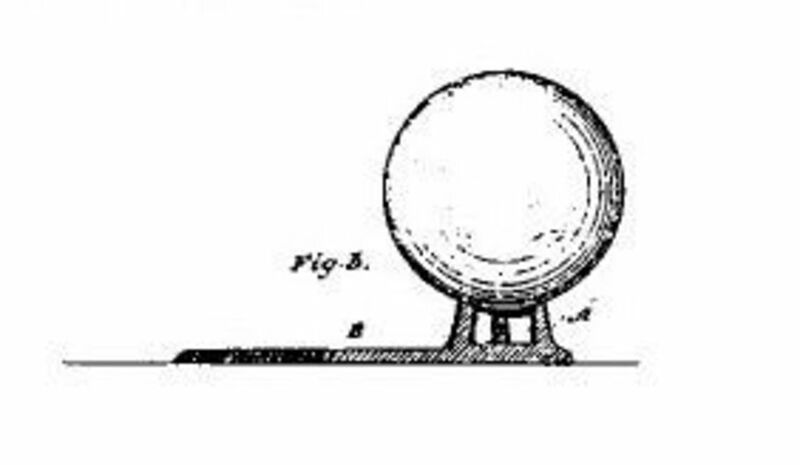 Bloxsom was the first Captain and along with A.S. Douglas, designed and patented the first-ever artificial golf tee. The ball stood on short rubber studs instead of the mound of sand previously used. The most successful golfer in the inter-war period was William John Guild, twice Club Captain and father of a past Club President, David Guild. He won the Scottish Amateur Championship in 1926 and was Highland Amateur Champion in 1928. He played for Scotland in 1925, 1927 and 1928 and captained the team in 1928. 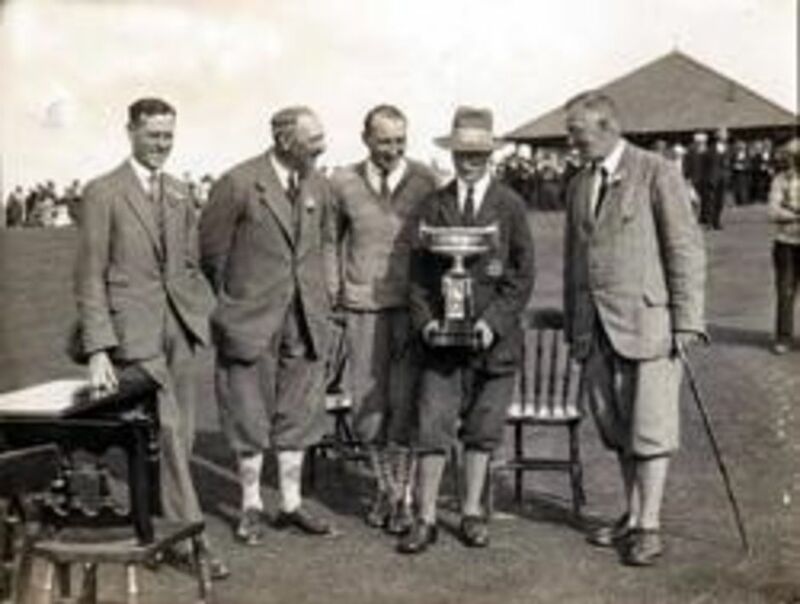 He later became President of the Lothians’ Golf Association, President of the Scottish Golf Union in 1933-1935 and also a Walker Cup selector in 1936. Here he is receiving the Scottish Amateur Trophy in 1926. The Murrayfield crest is visible on his blazer. 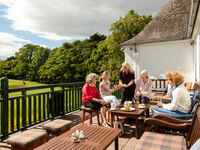 Murrayfield Golf Club started as a mixed club and ladies have always had the same rights and privileges as the men which was rather unusual in those days. The ladies section has achieved considerable success with many early Internationalists, most notably Miss Madge Neill Fraser, who played for Scotland every year from 1905-1914. She served in Serbia with the Scottish Women’s Hospital as a nurse, dresser and driver. However she caught Typhus and died in Serbia. She is buried in the Chela Kula Military Cemetery, NIS, Serbia. Pride of place though must go to Mrs J. B. Watson (later Mrs E. C. Beddows) who won the Scottish Championship on four occasions in the 1920’s. She represented her country in matches in almost every year from 1905-1931 and in 1951 aged 63. 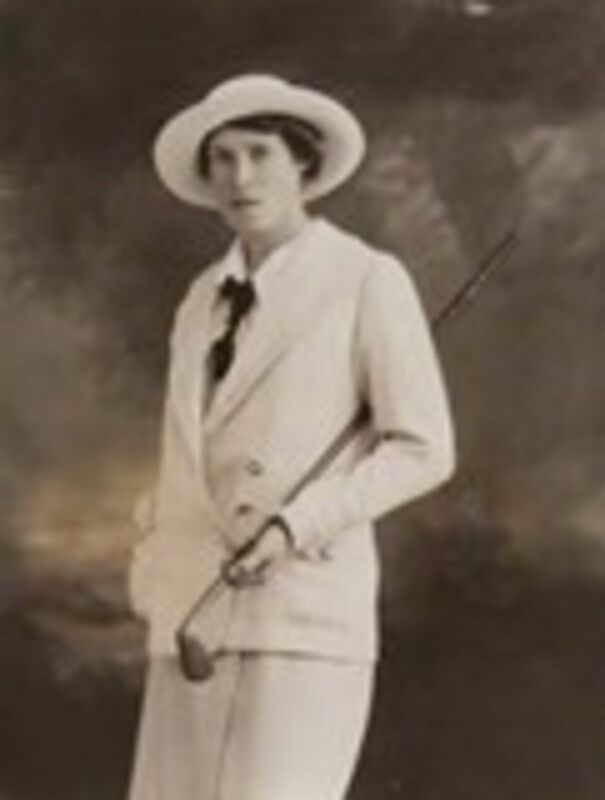 She also played for Great Britain against France in 1931 and 1932, in the first official Curtis Cup match against the USA in 1932 and was elected Captain of the British team in 1939. She was followed into the captain’s role by Mrs Wallace Williamson, who led the British team for USA / Canada in 1938 and Miss Elizabeth McLarty, who led the SLGU team on several occasions in the 1960’s. More recently Sally Watson who was a junior member of the club, played on the Ladies' European Tour . The following links commemorate those members who gave their lives in the First and Second World Wars.